Guyana Defence Force (GDF) Private Shaquille Grant appeared in the Sparendaam Magistrates Court before Magistrate Zamillia Ally-Seepaul on a charge of murder. The charge read that on May 5 at ‘C’ Field Sophia he murdered Andre Alexander in the course of the furtherance of a robbery. The 20 year old of 345 Section ‘B’ Turkeyen was not required to plea to the charge. Facts surrounding the matter allege that on the day in question at around 8:30 PM the deceased ,who is a bread vendor, was at his stand with his wife when Grant and another rode up on a motorcycle, shot him to his chest , relieved him of an undisclosed sum of cash then made good their escape on the said motorcycle. 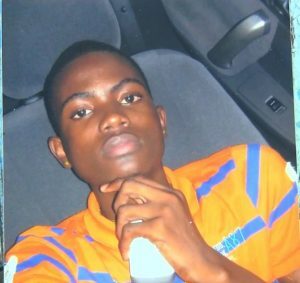 Alexander was rushed to the Georgetown Public hospital where he died while receiving medical attention. The prosecution told the court that the file has been seen to the Director of Public Prosecutions and as such a request was made for one month to report on the status of the file. Magistrate Ally-Seepaul remanded Shaquille Grant until June 8.